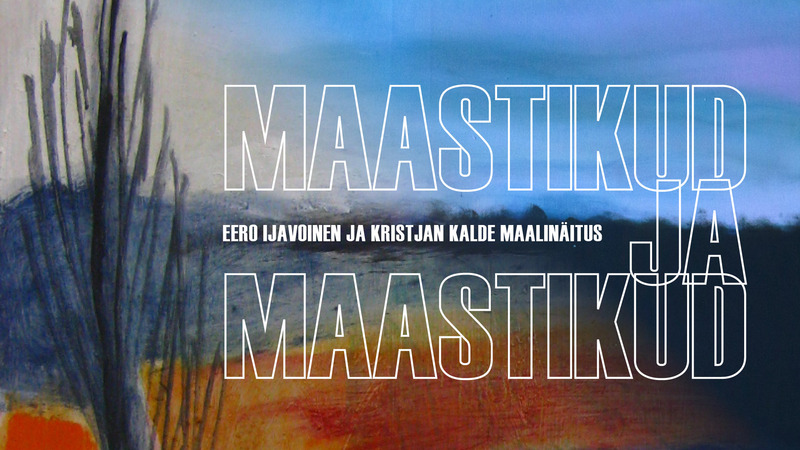 Exhibition “Maastikud ja maastikud” (“Landscapes and landscapes”) is a collaboration between Eero Ijavoinen and Kristjan Kalde composed of landscape paintings. Among other works on the exhibit there is a series “Roheline maa” (“Green land”) by Eero Ijavoinen painted in 1993. It was created when he was the same age as Kristjan Kalde, who is showing recent works, is currently. Incentive for the exhibition came from finding similarities between the artists works and ideas about what role does a landscape have for them. Landscape as a solitary place and an object of meditation. A centre of mystical perception of the world and a reflection on thoughts, feelings and experiences. These are few overarching ideas connecting the artists.